How to add Encryption Support to a PROLiNK Wireless Router/Modem? Because of its disadvantages (such as poor long range support) ‘Wi-Fi’ is mainly used in small networks. And where I come from “Wi-Fi” is still a bit new, but again, little by little, people are buying wireless routers rather than the Non-Wireless counterparts. With a wireless network, once setup (say a small home network with an Internet connection) you can forget about setting up wires and all that and can connect any device to your network as long you’re within the range (you can even watch a video on YouTube while in the Bathroom!, okay that’s a weird thing to say ;-)). So being a genius :P, I myself too bought a new Prolink wireless router few days ago and set up a little home network with internet access using an ADSL line. Now it’s true that Wi-Fi or wireless network sounds pretty cool but unlike with an old-school wired network, another drawbacks of a wireless network is that, unless you’ve properly configured it … most of these wireless routers don’t use any encryption methods at all so anyone with a decent knowledge could easily connect to your home network (without any approval of course). This was also the case with my Prolink H5001N which broadcasts its signals without any encryption. Although luckily I don’t have any geeky neighbors within its range 😉 but just for fun, I wanted to add an encryption to it and thought I’d share the simple procedure with you folks. Depending on your router (vendor and model) the configuration might be a bit different but still since these methods are somewhat universal so you should be able find them in your wireless modem with ease, most of the time. Okay … let’s do it. Now I’m assuming that you’re a beginner at this and won’t go into all the details but will try to make it simple. 1. First turn on your Router and your Wi-Fi device (say in your Laptop) and since the router doesn’t have any encryption you should be able to connect to it without any issues. 2. Then open your web browser and enter the below IP address in the URL field to access your router (unless you’ve manually changed it … these numbers are a standard and should work in all the wireless modems/routers). 3. Now this should open up a web interface that lets you configure the router settings. In the Prolink H5001N series, just look for an icon with text in it that says “Wireless” and when you move your mouse over it you should see new links below it. From these links click on the one that says “Security”. 4. You can ignore values like SSID Type etc. By default under “Encryption” it should display “Disabled”. Now from that drop down menu you can choose between few encryption methods. 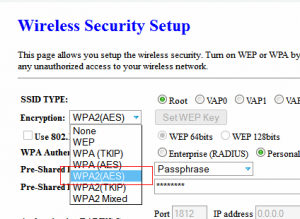 The first one is WEP and have few other such as: WPA (TKIP), WPA2 (AES), WPA2 (TKIP) etc. 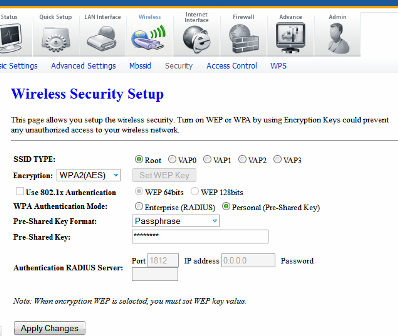 Personally I like the WPA2 (AES -- aka CCMP) because it’s one of the secure one of the bunch and easy to configure. Note: If you have a bit of an older router then some of these encryption algorithms might not be listed. But then again, the vendor might have updated the router firmware with those features so make sure to have an up-to-date firmware. 5. Now since we’re creating a home network, under “WPA Authenticate Mode” make sure you’ve chosen “Personal (Pre-Shared Key)”. 6. Leave the “Pre-Shared Key Format” at its default value (“Passpharse”). 7. Under “Pre-Shared Key”: in the black area type in your key (maximum 63 characters), for additional security try to use numbers and other symbols, including letters. 8. Now click on the “Apply Changes” button at the bottom which should restart your wireless modem/router. 9. 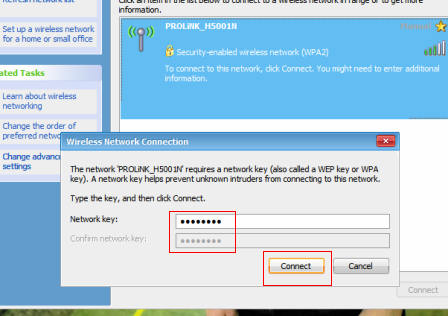 Now try to connect to the wireless network as usual and then this time should be prompted for a key. Simply enter the “Key” you entered above (twice) and if everything went well you should be connected to your Wireless router/modems through Wi-Fi with some decently powerful encryption. The below screenshots are in Windows XP but depending on your OS (Windows Vista/2000/7 or in Ubuntu or GNU/Linux in general) message boxes will differ. Note that Windows now says that “Security-enabled Wireless Network” … heeeeeeee ha! 10. The last step: Now this might be optional depending on your router, however, to make the changes permanent, I had to re-log into the Prolink router and save the changes manually, otherwise it’d lose the changes next time you switch on. So for that, again after successfully connecting to the router with encryption enabled, again type the below IP address to log-into the router. Now with my Prolink H5001N2 router, as soon as I log in and accessed the “Wireless Security Setup” page, at the bottom it displayed a message as shown below, asking me to click on the “Save” button to apply the changes permanently. So go to that page and click on that “Save” button to finish things up!. 11. (Optional) However, if you don’t see that message, then you can make sure that everything is saved permanently by, after logging into the router, as shown below, click on the “Admin” -> “Save & Reboot”, then from the drop down menu make sure to select “Save Current Configuration”, and then click on the “Apply” button. *. Remember, no encryption method can really save you from hackers or other types of security vulnerabilities but as a general practice, you should change the “Pre-Shared Key” once in a while to allow maximum protection. Almost all routers come with a default administrative user account called “admin” and the password is “password”. So make sure you’ve manually changed that administrator’s password. This way, say that you had to reset your router (more below) then you don’t have to make all the changes one by one manually afterward. Just locate the backup and off you go!. If anything bad happens, say you forgot your key or admin password (yikes!) … then you can always reset your router to factory settings by simply pressing the “reset” button which is usually located at the back (have a look at the manual for more). Well that’s pretty much it. Good luck. Linux Mint 12 (“Lisa”) is available for Download! hello, I just reset-ed this router and the moment that I will connect to it, It required me a password w/c was unusual because resetting the router will remove the password you've created. Any help what's that password? When you reset the router, the password it asks is the default password of the built in administrative account. In simple terms, when asked, enter 'admin' for the user name and type 'password' for the password. That should do it :). What's exactly is the issue? As I said in the article, you should be using the 192.168.1.1 as the IP address in your web browser when accessing and the default user-name is usually 'admin' and the password is 'password'. If it doesn't work, then you might need to 'reset' the router. For that, there's a small hole in the back of the router and it's called 'RESET', you can use something like a pen and push it gently into it and hold for few seconds (5-10) and let go. After that, your router should be reset to the factory settings and will restart and you should be able to use the above details to access it as the root user. With my router, it's really difficult to define 'QoS' and it doesn't give much options and only uses standard names and values that only technical users are familiar with. Perhaps that because it's an entry level router from Prolink but then again, I've seen other similar routers (from D-Link and TP-Link etc) that gives a lot of configuration options. You can manually adjust download/upload rates per IP or Mac addresses etc with extremely easily on these routers. Heck, this prolink bugger that I have doesn't even have a bandwidth monitor!. Anyhow, you can adjust few basic 'QoS' settings from the 'Advanced' – 'QoS' (I'm sure you know that :D). 1.And then you can choose the type of the network traffic that you want to 'shape'. If you Wi-Fi setup, then choose '802.1p based' option from 'Default QoS' option. 2. Then enter the IP address of the client that you want to shape the traffic (as you can see, you cannot use Mac address here, yuk!) and the sub-net mask. 3. Choose a protocol that you want the traffic to be filtered and the 'Physical Port' (the access method). 4. Make sure the 'Outbound Priority' is set to its lowest value (p3) and set '0' under '802.1p'. Under 'Precedence' set it to '0', not sure what will be the best option to set under 'TOS' ('Minimize Cost' sounds good :D). As said before, with other routers setting up bandwidth throttling is extremely easy compared to this Prolink model. sorry if I sound a little bit of a noob when it comes to controlling the bandwidth as to I've never really shared my connection before with other users. well, here's the part where I'm actually having a little bit of confusion.. 1.) for the source IP,should I put in the IP address of the user that I wanna control the traffic for? or should that be the IP address under the WAN configuration under the HOME tab? or the gateway under the wan configuration under the same HOME tab? 2.) subnet mask should just be the same for all the users, right? 4.) for the protocol, it should be TCP, right? and for the physical port, (we're all using wifi) which one should I choose, wlan VAP0, wlan VAP1, wlanVAP2, wlan VAP3, or just plain wlan? As I've said in an earlier comment, I'm not a network expert by any means. I followed a network course few years ago (already forgotten most of it) and that was it! (yikes). So if this doesn't work for you, well then don't be surprised. 1. The source IP is the IP of the user's computer that you want to control. But by default the router sets these IP addresses automatically and an IP that you configured for the end-user might be assigned to you the next time you turn it on. So you'll have to set a static IP on the user's computer OR can use his Mac address and use the router to set a static one for that computer (either way is fine). 2. Subnet mask should be the same for all users. 3. I think it's best to not to enter a port (so it'll 'shape' all of them) but the default port number used by web browsers is '80'. 4. 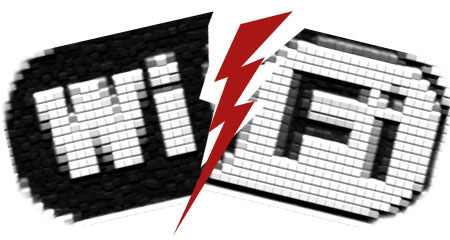 For the protocol, TCP is usually the one. However, if you have like video streaming services etc … then this traffic shaping is not applied to those apps and they will be bypassed by the router. I don't know whether not choosing a protocol or setting up two separate shaping for both TCP and UDP (for the streaming services) for the same IP has to be done if you want both TCP and video streaming has to be filtered though. 5. 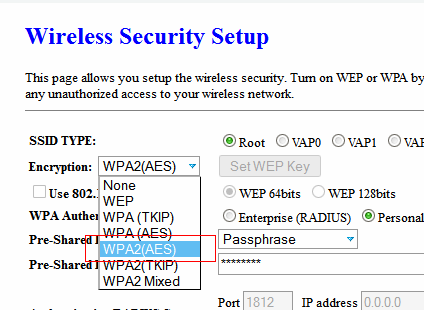 The default physical port for Wi-Fi based LAN is 'WLAN' and unless you've enabled, others are (wlan-vap0…) disabled. I hope this clarifies things a bit for you (I really hate this Prolink's complicated way of doing things … next time I'm buying D-Link) :D.